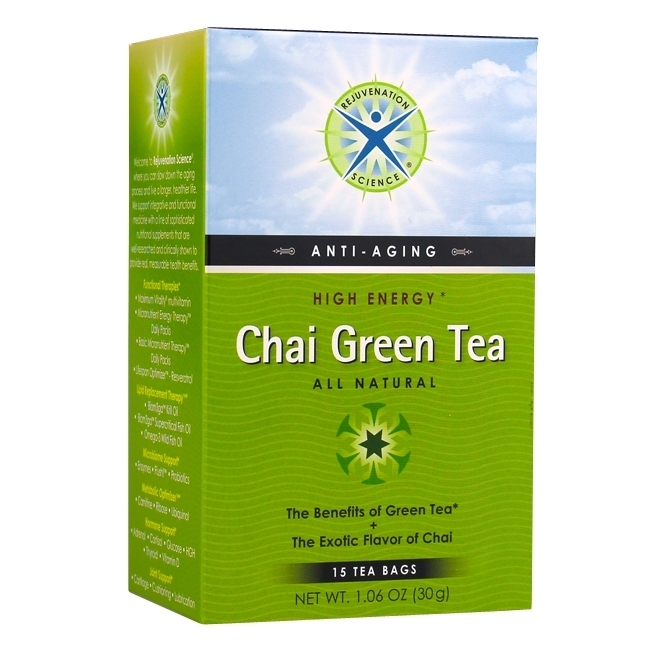 Keeping healthy may be a pleasant experience with Rejuvenation Science® High Energy Chai Green Tea. Chai is one of the world’s most exotic forms of tea. Originating in India, Chai is made using the distinctly robust flavors of cinnamon, chicory, clove and nutmeg in a green tea base. Best of all, this tea is specially formulated to help recharge your energy levels. Perfect whether you’re working out, dieting, or just starting off the day. Welcome to Rejuvenation Science®, where you can slow down the aging process and live a longer, healthier life. Our strategy is to provide you and your doctor with an integrated, complementary line of nutritional supplements. We offer sophisticated, advanced supplements that are well-researched and clinically shown to provide real, measurable health benefits.